NORTH BILLERICA, Mass. - With history staring it in the face, the Marshfield boys hockey team looked prime to give it all away. After surrendering the first three goals of the game it looked like the Rams would fade into the cold February night with little to show for its first ever appearance in the Division 1A play-in round. 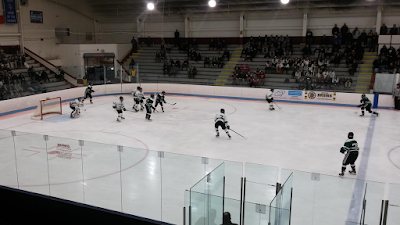 Instead, Marshfield buckled down and chopped down Austin Prep slowly but surely, walking out of Chelmsford Forum with a remarkable 4-3 comeback win. The Rams will be the eight seed in the proper Super 8 field, and will play Malden Catholic in the tournament’s opening round. 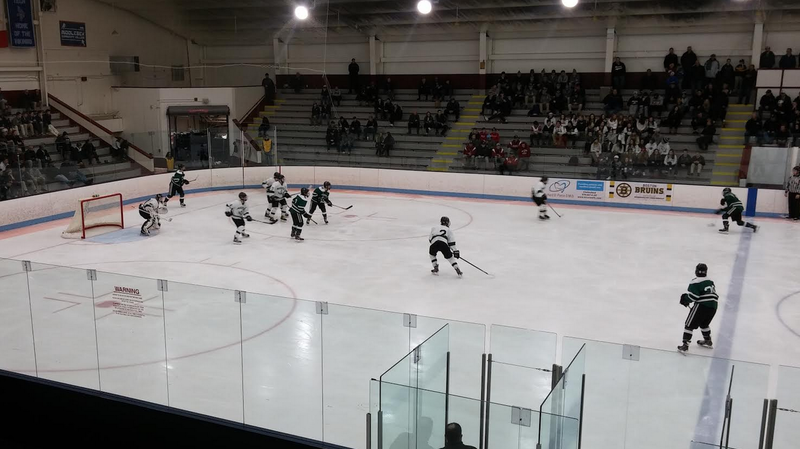 The Rams scored three goals in the third period, capped by Aidan Connolly’s tap-in from just outside the crease with 2:09 to go, to put Marshfield ahead. Connolly’s goal capped a frantic third period for Marshfield. The Rams opened the frame by killing off 1:26 of a penalty on clean ice and scored three goals in the final 10 minutes to pull out the victory. Fithian had Marshfield’s third goal, a one-timer atop the crease midway through the third. Owen Degust opened the scoring in the third for the Rams with a nifty wrister. Nick Hurley had assists on the last two Marshfield goals and scored the Rams’ first marker midway through the second. He also put in solid minutes on the defensive end. The offensive theatrics would not have been possible without the consistent play of Nick Young. The senior keeper turned aside 18 shots for the Rams. None were bigger than three in the final 10 seconds as Austin Prep scrambled to tie the game. Everything started well for Austin Prep before coming to tears in the final 10 minutes. Alex Maffeo had two goals and an assist for the Cougars. However the Cougars had no answer for Marshfield once the Rams started to roll. For a team that was in early talks to be the top seed in the Super 8 field back in late January, Austin Prep now has to readjust and get ready for a competitive Division 1 North tournament. It will be AP’s first appearance in the D1 North tournament since 2012.